On Thursday, Sept. 20, aspiring authors can learn how fiction is crafted from personal experiences when Pacific Grove Library presents Stanford MFA Bradley Jay Owens. 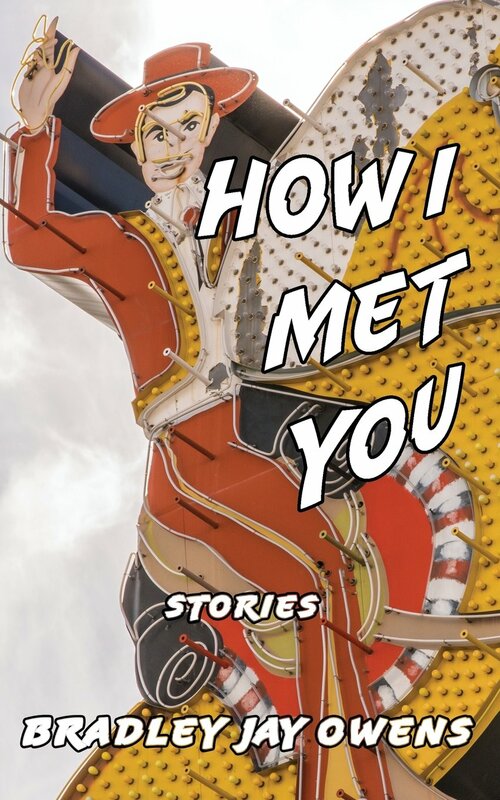 Owens will read from How I Met You (Brighthorse Books, 2018), a collection of stories taking place in Port-Au-Prince, Haiti; a West Texas cattle ranch; the Las Vegas suburbs; and urban San Francisco. A former Jones Lecturer at Stanford, Owens will talk about how stories can develop in ways the writer doesn't necessarily anticipate, the delicate dance of writing about family and the frustrations and rewards of following a story where it wants to take you--even if that isn't where you meant to go. "The process of discovery is key, and it's fun. If you're not surprised by your story, chances are the reader won't be either," Owens says. The recipient of fiction prizes and fellowships from the Cite International des Arts in Paris, the University of Wisconsin, the Loft Literary Center and Djerassi Resident Artist Program, Owens' stories and essays have appeared in Ploughshares, The Threepenny Review, The Henfield Prize Stories, the Christian Science Monitor and elsewhere. He lives in Pacific Grove, CA. The suggested donation is $10 for non-members and free for Friends of Pacific Grove Library. This event is sponsored by the Friends with the support of Jan Pratt and J.R. Rouse, Sotheby’s International Realty.